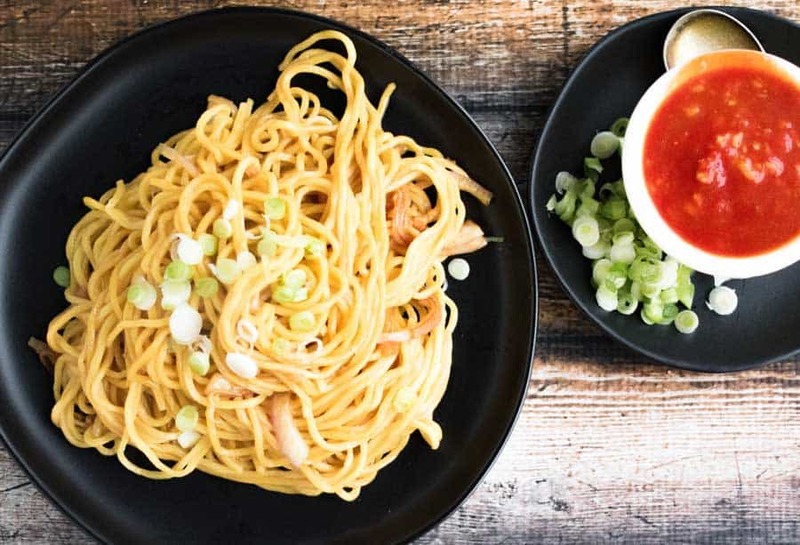 Garlic Noodles recipe from Burma Superstar Cookbook is addictive! 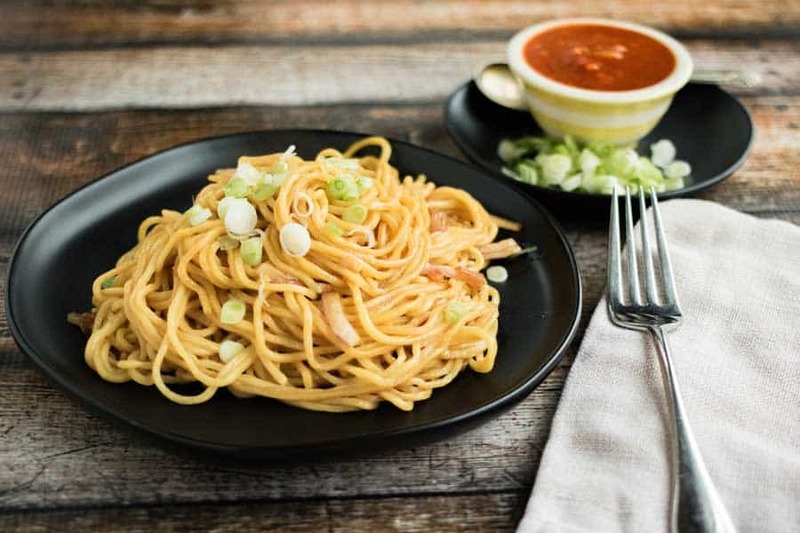 Along with their famous Tea Leaf Salad, the Garlic Noodles from Burma Superstar are among the deep-down, soul-satisfying comfort foods that I crave. Always. Maybe it’s because they remind me of the carefree days of my youth (okay, my 30s) when I lived within walking distance of the original Burma Superstar on Clement Street and had all the time in the world to wait for one of their prized tables to open up—either standing on the sidewalk in the seemingly ever-present bone-chilling San Francisco fog, or tucked at a cozy table across the street at the Blue Danube sipping a latte. Lucky for me, right about the time I relocated to the East Bay, BSS opened not just one but two snazzy outposts, one in Alameda and one in Oakland’s Temescal neighborhood. The new spots are bigger, shinier, and serve cocktails (! ), but one thing that hasn’t changed is the loooooong waits. That’s why I was beyond excited when the Burma Superstar Cookbook was released last year. I haven’t attempted the Tea Leaf Salad, although that is on my list (I need to get a jar of fermented tea leaves first—or try making my own! 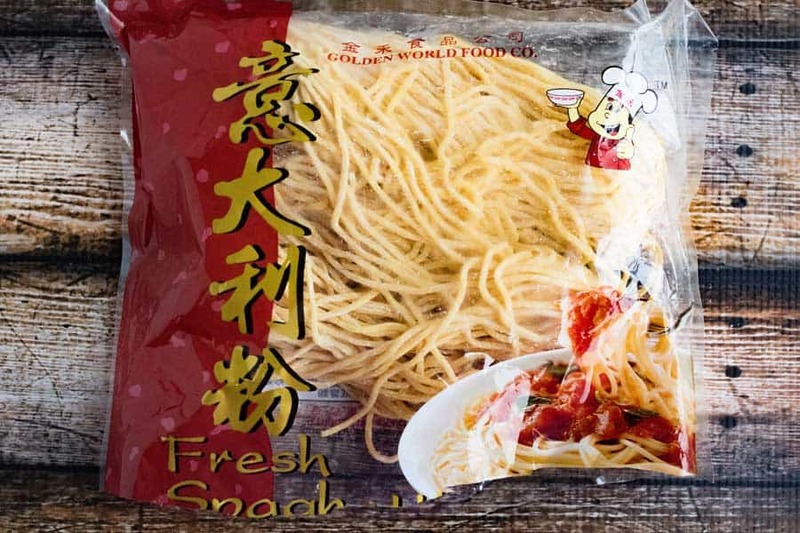 ), but the Garlic Noodles were one of the first on my list to try. When I went to the giant Asian supermarket to get fresh noodles, I got completely overwhelmed by the choices. 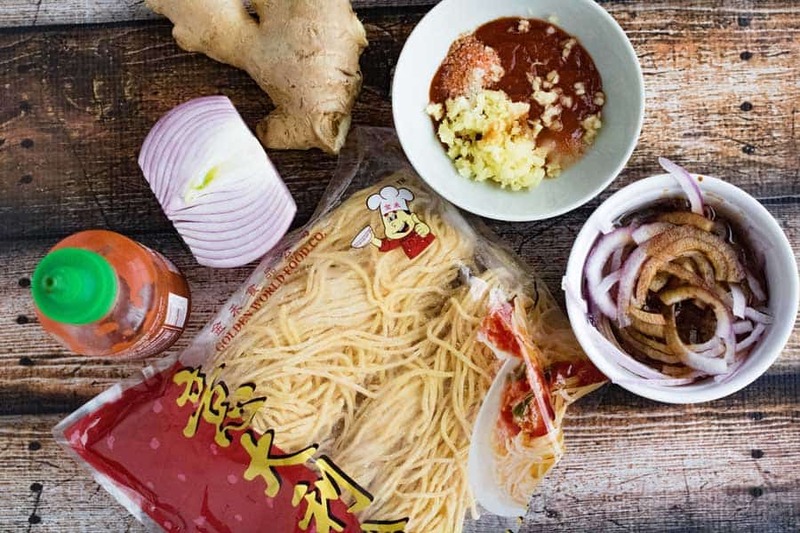 The book calls for “wide, flat wonton noodles.” I didn’t see anything marked that way, so I chose a fresh Chinese spaghetti, which turned out to be perfect. They had just enough substance and chew to be really satisfying and hold the garlicky sauce. 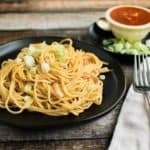 This is one of those elusive quick and easy, yet crazy delicious recipes that uses basic ingredients that you likely already have in your pantry (aside, maybe, from the fresh noodles, but you could totally substitute dried noodles in a pinch). 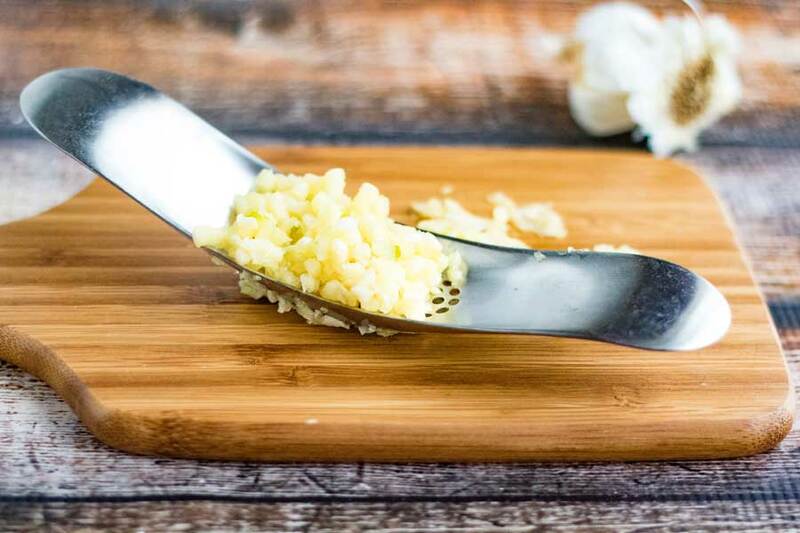 Garlic is, obviously, the predominant flavor, so it follows that the recipe calls for a lot of it–4 tablespoons! I used one of my favorite kitchen tools, the Garlic Rocker, which makes quick work of a handful of large cloves.